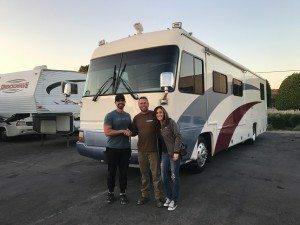 My fiance’ and I bought from Cue’s RV, and while it’s not possible to find any dealer warranties on older used motorhomes, we did find a trustworthy family run company who went the extra mile to thoroughly and knowledgeably make sure our RV was in the best possible condition to sell. Replacing tires, engine tune up, replacing missing or broken interior features, testing the generator’s capabilities, and several other items too. They are honest , upfront, helpful, sincere people who sell RV’s they believe to be reliable and safe, no question. -I wish more businesses were ran like Cue’s RV. They are the epitome of a wonderful family business! I looked for 6 months and knew what I wanted. This was a painless and even enjoyable experience, which people tell me is rare. The Cue family made sure it is fit as a fiddle and I am happy to refer people to them. I also love supporting small family businesses. Thank you! 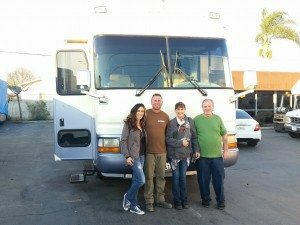 We had a great experience purchasing our RV from the Cues. They were professional, organized and obviously have this down to a science. Everyone we came into contact with was knowledgeable in their field and very friendly. It’s a shame RV’s aren’t something we need to purchase more often as we would love to have a reason to throw frequent and regular business to this great establishment. -How can I express in words the positive experience I was privileged to experience with Cue’s RV?? I am an old school type of fella and I personally would rather deal with a family owned and operated spot like this versus a big commercial shady big dealer. They honor what they say, they care about families and dealers like this are rare and extinct. I am very lucky to have found the exact rig that my family was looking for at the price we wanted to spend. This is where you should buy your next RV. I also want to mention I am not easy to deal with and Pabel made it easy. Stand up fella. 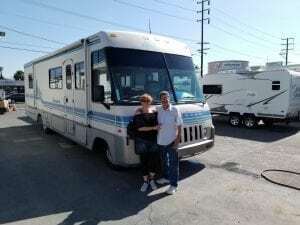 Thank you Cue’s RV Sales for helping me find my new RV and being a part of my families great memories to come! – Can’t say enough good things about Pabel and Cue’s. The selection was exactly what we were looking for. 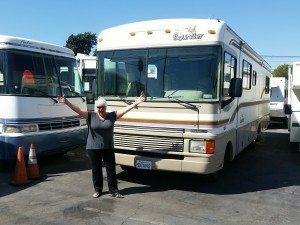 We rolled away in a beautiful 40 ft bounder that we never thought would be in our budget. Took it out that weekend and Pabel answered the phone when we had to call with newbie questions. So happy with our experience here. Thanks for the awesome deal Pabel!!! 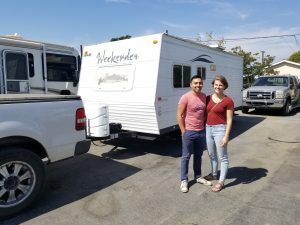 – We had a great experience buying our trailer here. Pabel was incredibly helpful and did everything he could to work with our budget. He definitely went above and beyond. By far the best experience I’ve had at any dealership. – Purchasing site unseen is hard to do. Add relaying on some to prep what you buy to ship across the ocean and take it to port makes it hard to trust someone. From my first phone conversation with Pabel I knew I found the right person to deal with. When my camper arrived it was exactly as Pabel described and everything was working as promised. 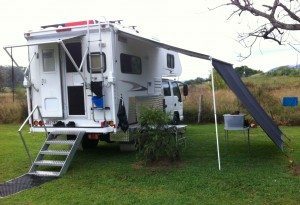 Cue’s RV does a bang up job! 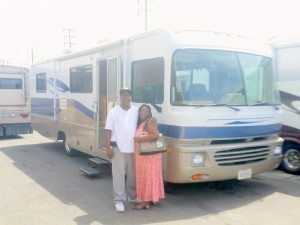 – My husband and I were shopping around for our first RV. We went to several places and even looked on-line. Then a family member told us about Cue’s RV Sales. We went Cue’s and did not have to look any further. Pabel was so helpful and patient with us, he ask what were we looking for and what were we looking to spend, we got exactly what we were looking for. 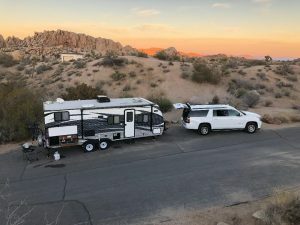 Once we purchased our RV Pabel went over everything that we needed to know and answered all of our questions, I even had questions once we left the lot and was on our first camping adventure and he still was there to answer my question via email. Keep up the good work Cue family. –Bought a 30′ Fleetwood Flair. Excellent condition, reasonably priced and nicely handled sales. 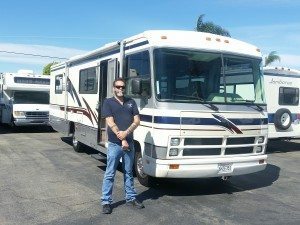 If you’re looking for an RV check Cue’s place out. I highly recommend it. – What an awesome experience this was for us! 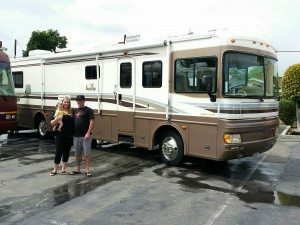 It truly felt like we were buying an RV from a friend! There was never any pressure and Pabel made us feel right at home. He gave us our space and let us look at everything yet was attentive and checked on us from time to time. We never felt harassed or ignored like you do at those big lots. Pabel is super friendly, very knowledgeable and helpful, and patient. 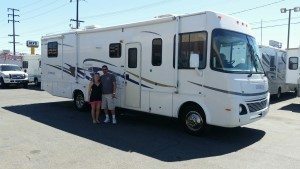 Buying an RV from them was a great experience and we recommend you check them out before you go anywhere else! Thank you Pabel and Rafael! It was a pleasure meeting you!! -Beyond happy with the great customer service and an awesome deal Very happy campers… Pun intended . Pabel and Rafael are the dynamic duo to recon with. If I could give Cue’s RV Sales 100 stars I would! My boyfriend and I were looking into purchasing a toy hauler and we came across Cue’s RV Sales online. We drove out to the lot and met Pabel Cue. He was very friendly and answered any questions we had about the toy haulers. 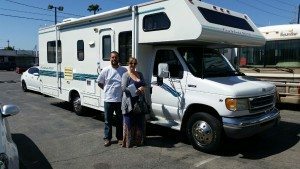 We found the toy hauler we wanted and Pabel helped us during the entire process. We communicated through emails and he was great at keeping us updated every step of the way. When the day came to pick up our toy hauler, Pabel and his father had our toy hauler ready to go. Pabel even walked us through our entire toy hauler to explain to us how everything works. 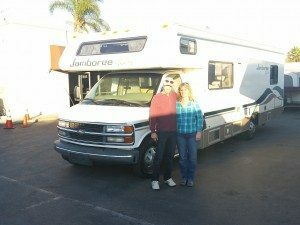 We couldn’t be happier with our entire experience at Cue’s RV Sales and I will recommend them to anyone looking into buying an RV. THANK YOU!!! © 2019 CUEs RV Sales.